Cambium Learning designs and publishes instructional technology for elementary, secondary, and adult students and teachers. Univision Radio, Inc. operates a Spanish-language radio broadcasting network. The company owns and operates 68 stations in the United States. Univision Radio, Inc. was formerly known as Hispanic Broadcasting Corporation and changed its name to Univision Radio, Inc. in September 2003. The company was incorporated in 1992 and is based in Dallas, Texas. Univision Radio, Inc. operates as a subsidiary of Univision Communications Inc. The Dallas Morning News is a daily newspaper serving the Dallas-Fort Worth area of Texas, with an average of 271,900 daily subscribers. It was founded on October 1, 1885, by Alfred Horatio Belo as a satellite publication of the Galveston Daily News, of Galveston, Texas. 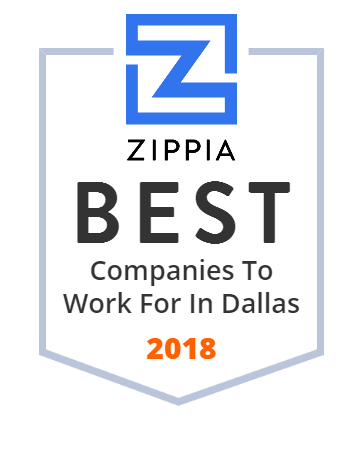 The Richards Group is a Dallas-based branding and full service advertising agency offering a full range of advertising, marketing and interactive solutions. Military Sales & Service Co. provides marketing, sales, and field services for the military resale channel in the United States and internationally. Its services include obtaining global distribution of stock assortment items available for selection to various exchanges; presenting products to the exchange consumer via in-store product demonstration and differentiation; building high-visibility displays that create in-store excitement for exchange customers and store personnel; and conducting seminars that educate exchange personnel about vendor's product attributes and advantages. The company s services also comprise providing input or oversight in maintaining proper stock-to-sales ratios for various item carried; assuring that retail signage is correct and properly placed, product appearance is pristine, and plan-o-gram integrity is intact; handling and processing of defective merchandise, and minimizing returns; and gathering information to assist in evaluating marketing efforts. Military Sales & Service Co. is based in Dallas, Texas. Hoak Media Corporation, a broadcasting company, purchases and operates television stations in medium-sized and small markets. It possesses various television stations, including satellites in Colorado and Great Plains states. The company serves clothing lines, law firms, and delivery businesses. Hoak Media Corporation was founded in 2003 and is based in Dallas, Texas. As of June 13, 2014, Hoak Media Corporation operates as a subsidiary of Gray Television Group, Inc.
Every brand must be its own media company. KERA-TV, virtual channel 13, is a Public Broadcasting Service member television station licensed to Dallas, Texas, United States and serving the Dallas-Fort Worth Metroplex. Panache Partners is the leading publisher of regionalized lifestyle books. Visit www.Panache.com to explore our international collection of inspired coffee-table tomes featuring visionary people, breathtaking designs, and alluring experiences.